Where oral health care is concerned, you would find very people to be active and determined about it. They believe that just by regularly brushing and flossing their teeth, they would be doing more than enough. Even though both these actions would be necessary to keep your teeth and gums healthy and clean, you would still need to understand that only the surface is being cleaned. In order to make sure that you would not develop any long-term dental problems, the entire mouth would have to be kept clean. It would be for this reason that it would be so highly recommended to visit a dentist on a frequent or regular basis. Since they seem to be the experts in this field, they would have a very good idea regarding the maintenance of good oral health. Not only that, but they would be able to make suggestions for your entire family. If you would still find yourself to be hesitant regarding the benefits of visiting a dentist, we have that sorted out for you. Continue reading below in order to find out more about it. One of the major benefits of visiting a dentist is that they would be able to detect dental problems at an early stage – some which you might not be aware of. Some of these would include cavities, oral cancer, and gum disease. All of these would not be visible until they would be at an advanced stage. It might happen that a cavity would exist in your teeth, without you knowing about it. In a lot of cases, it could be found between your teeth. So, if there would be something that you would not know about, chances of it developing in to something major could be quite high. So, the only way of you doing something about it would be detecting it at an early stage. This is something which would happen when you would decide to visit a dentist. As such, you would be able to save your teeth rather than losing them for good due to decay. This is because when the decay would move to the tooth enamel, they would then infect the soft pulp which could be found inside the tooth. As such, the infection would then spread throughout your mouth. So, by keeping the health of your teeth in check, you would be able to continue eating anything and everything that your heart deserves. You would not need to stop leading your life just because of some minor problem. Your dentist would also check for tartar and plaque accumulation. This is because when plaque would be left alone, it would build up over time and then form tartar. This is something which would be virtually impossible to remove with just flossing and brushing. Over time, this could also lead to gum disease and cavities. That being said, a dentist (Tannlege Trondheim) would have all the necessary tools and equipment to thoroughly clean your teeth, specially those areas which would be hard to reach. Other than looking or inspecting your entire mouth, the dentist would also look at other places. This would help them to identify possible symptoms of illnesses such as cancer. The sooner it would be diagnosed, the better would be the treatment that could be provided. It would also be possible to increase the chances of success. However, the sad part is that majority of the cases pertaining to oral cancer would not be diagnosed till it would reach the later stages. Your teeth would make up a very big and important part of your overall appearance. This is because when you would be talking to someone or posing for a picture, your teeth would be put on full display. You would not feel like this if your teeth would not be looking white and perfect. This would be something which you would be able to achieve with the help of dental visits on a regular basis. This would help to keep your gums and teeth healthy. In addition, it would also help you to give you the confidence that would put your dazzling smile in full display. The only way in which you would be able to maintain optimal health of your teeth and gums would be through regular visits. Thanks to this, you would also be able to develop a good relationship with your dentist. This is something which would happen by establishing good communication. This would prove to be the success of the relationship. If you would find yourself to be hesitant and anxious towards the beginning, that would be absolutely fine. Over time, you would find yourself to relax and become comfortable. You would also begin trusting your dentist and become easier around them. This is because if there would be no trust between the two of you, then things could actually become quite difficult. There would be no denying the fact that children tend to follow the footsteps of their parents. After all, they tend to look up to their parents for guidance and inspiration. So, if you would want your children to adopt healthy and consistent oral care habits, you would have to do the same. This is something which you would be able to do by scheduling regular dentist visits for yourself. Over time, when your children see you setting an example, they would also be motivated to do the same. All in all, there would be no denying the fact that the benefits that seem to be associated with visiting a dentist seem to be numerous. You would really be a fool if you would not realize this sooner. If you choose to be a dentist, you will have to work very hard and remember that there are countless benefits in selecting the dental industry. It can open doors to many opportunities, and you can have a chance to work in different fields. 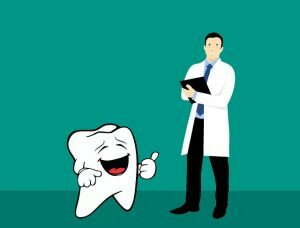 If you want to have a successful dental office, then it is essential that you establish your specialty and create your reputation as one of the best in your area. You also need to identify the unique element of your practice, promote it and protect it. Whether you’re offering a variety of services or have a particular specialty, you should not only attract clients but also retain them. To get the best of your unique attributes, you need to promote them regularly. You can encourage them by advertising your practice or by interacting with patients. You should look for unique and efficient methods of advertising, such as brochures, newsletters, and social media content. Once you have determined the attributes that differentiate you from other offices, you can begin to discover the office culture. You do not need to develop a new work culture because it already exists.